Reports from Buea, say a joint military patrol team on Sunday, April 7, allegedly shot dead one of theirs, Merlin Ndamen Njatang, whom they took for an armed separatist. 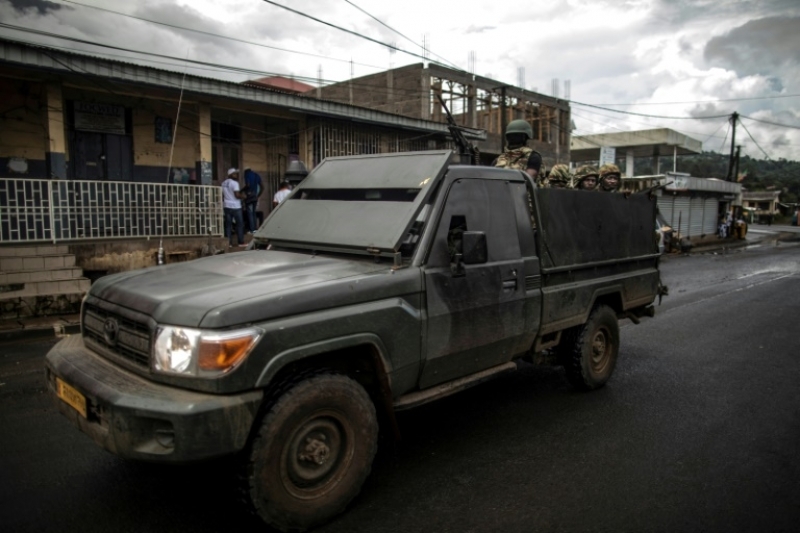 The Buea-based news site, Atlantic Chronicles revealed that the chunk of gendarmes, police officers and members of the Rapid Intervention Battalion, had been wrongly informed about the presence of an armed separatist, also known as Amba boy, in a nearby shop. They are said to have shot their target immediately on sight, without doing any investigations or preliminary checks. A source, friend to the deceased, is said to have narrated how in the evening hours of Sunday, April 7, Njatang, alongside four colleagues, had patrolled the town in a white Hilux and later came to share a beer at a popular drinking spot beside CONGELCAM in Bonduma, Buea. From there, they drove down to the Police Station in Molyko, where he was expected to take another shift, as security guard. He left for food in a nearby store, dropping his military jacket down, and had just his trousers and a black t-shirt on. His gun was slung on his back, as he left to buy some things from a nearby store. Little did he know that security forces had surrounded the area. He was shot around 9pm that Sunday. They shot at his car, several times, shattering the windshields and windows. He was rushed to hospital that night but couldn’t survive the wounds sustained from the bullets. Born in Bamenda, 34-year-old Njatang hails from Bagante in the West region, and is married with four children.